Jose Mourinho is reportedly under pressure from above at Manchester United to improve the performances of three key players in particular at the club this season. According to the Guardian, those are Paul Pogba, Alexis Sanchez and Marcus Rashford, though there’s also the suggestion of others as well. This comes as the Guardian also link United with opting to put a director of football in place at Old Trafford in the near future, for the first time in their long history. It remains to be seen what Mourinho would make of such a move, with the Portuguese likely perhaps to see less power and control over recruitment as a result. As has been well noted by the Guardian and others, United vetoed a number of their manager’s preferred transfer targets this summer, particularly in defence. The report notes that the feeling inside the club is that Mourinho should be able to do enough with the centre-backs at his disposal, and that instead his focus should be on improving the performances of his attackers. The feeling is that Romelu Lukaku could score more goals, and therefore improving the form of players like Pogba, Sanchez and Rashford around him should be a priority, according to the Guardian. This makes sense for the Red Devils, whose fans must be frustrated at what has often been a slightly boring style of football deployed by Mourinho, certainly in comparison to what they’ve become to used to. 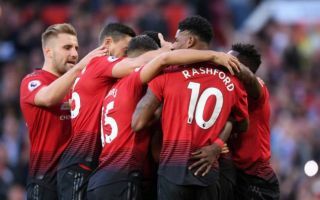 Always an ambitious side under Sir Alex Ferguson, United would perhaps be more forgiving of Mourinho’s slightly conservative tactics if it brought more success, but it hasn’t so far.